Chandigarh: There has been a lot happening at Chitkara University in March 2018. We are happy to share another milestone that Mr. Varinder Singh, Mechanical Engineering Faculty at Chitkara School of Mechanical Engineering (CSME), won the prestigious Dronacharya Award (Best Faculty Award) sponsored by Ansys India at BAJA SAE INDIA 2018 event. The event was held at IIT Ropar from March 8th to March 11th, 2018. 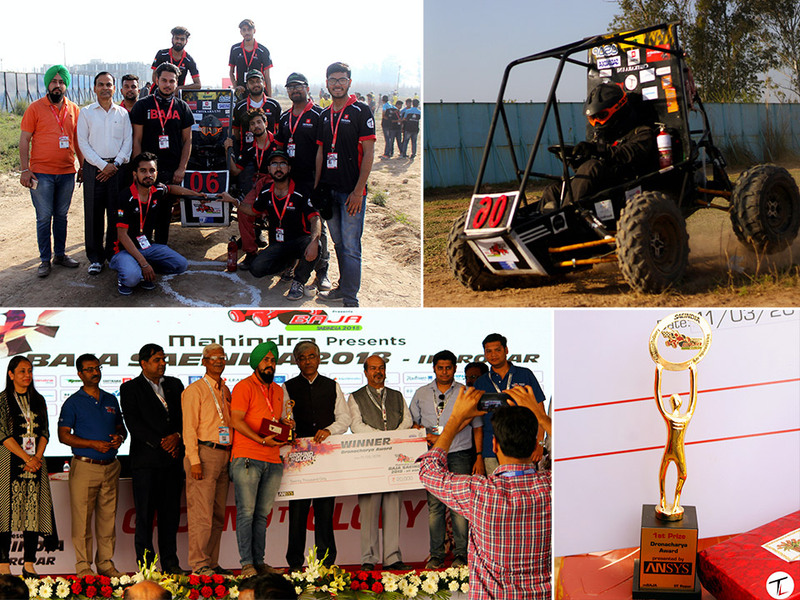 Team Lakshya participated in BAJA SAE INDIA 2018 IIT Ropar from March 08 – March 11, 2018. Team bagged 10th position in Acceleration run and 14th position in Design evaluation out of 60 participating teams. Team also completed 4 hours of the endurance run on an off-roading track built by experts in the automotive industry which includes running on stones, wooden logs, muddy water, etc. The BAJA SAE Series® is an event for the undergraduate engineering students, organized globally by the Society of Automotive Engineers, USA. The event has spanned across six countries – USA, Mexico, South Africa, Korea, Brazil, and India. The BAJA SAE tasks the students to design, fabricate and validate a single seater four-wheeled off-road vehicle to take part in series of events spread over the course of 3 days that test the vehicle for the sound engineering practices that have gone into it. BAJA SAE India is a national engineering design competition for undergraduate students which challenges the students to design an off-roading vehicle which is then evaluated on different criteria like Engineering design, Brake test, etc. and 4 hours of endurance on a tough off-roading track.